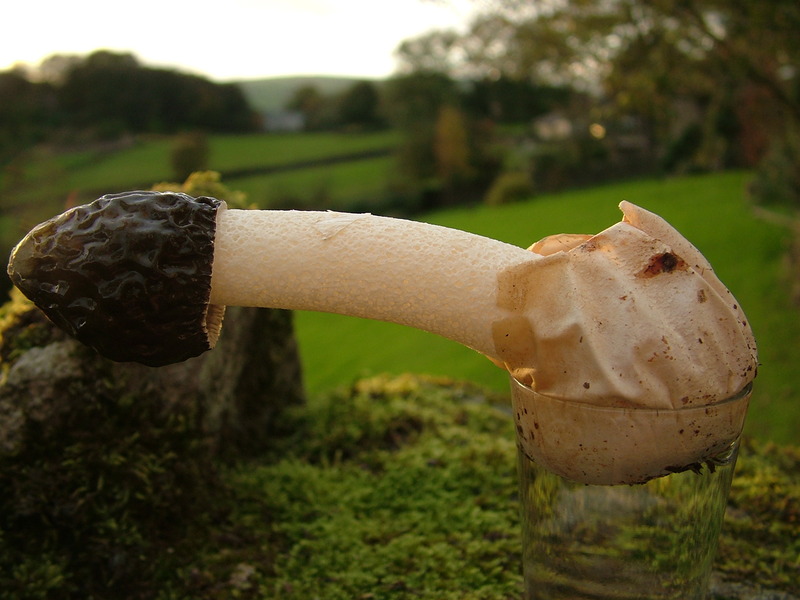 A stinkhorn (phallus impudicus). It only takes about an hour to expand once it breaks through the veil, but I had to wait a week for the breakthrough. Somewhat unfortunately I was unable to take the final photograph in the series as Jane came home before me, and as the stinkhorn truly does stink (rotting flesh) she put it outdoor, opened the windows, burnt two papiers d’Armenie and made a curry. They normally expand vertically, but it must have been hampered by sitting in the glass. This entry was posted in Autumn, Slow and tagged fungi, stinkhorn by Flying Shavings. Bookmark the permalink. I like the time lapse photography.